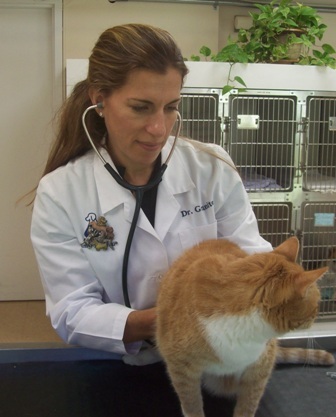 At Eagle Animal Hospital we recommend annual wellness exams for your adult pet, though for senior pets, should come in twice a year. Exams are important for health issues but it can also serve as a good time to discuss behavior problems as well. 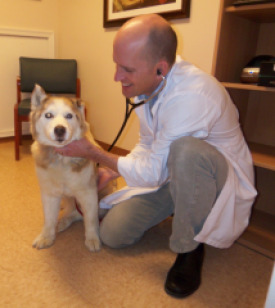 We at Eagle Animal Hospital follow the vaccine protocols established by the American Veterinary Medical Association. The following are examples of our recommendations. The following will help you to better understand what vaccines are and why we recommend them. Parvovirus -virus that attacks the small intestines leading to severe bloody diarrhea, that can lead to death associated with dehydration, secondary infection, and intestinal complications. -we still see a lot of Parvovirus in certain regions (where dogs are not well vaccinated) and can be highly contagious. -Lives in the dirt and soil for long periods of time. Puppies can pick it up by ingesting this contaminated soil. Lyme -Erlichial disease caused by Borrelia Burgdorferi - transmitted by deer tick -epidemic in this area - 30-40% of dogs in this practice are positive -two forms seen: Clinical and Sub clinical -clinical - fever/lethargy/anorexia/joint pain -sub clinical - normal, healthy looking dog -concerned with sub clinical form because this can go on for time unnoticed and can ultimately lead to fatal kidney failure or permanent joint disease -vaccine available to help prevent Lyme is 90% effective -pets tested for Lyme every year - if negative or low titers, we vaccinate -is not a virus so vaccines need to be done every year -nothing is 100%, for good protection we recommend you use a good flea and tick control. There is always the potential for side effects for vaccines but generally they are mild. If your pet should have a vaccine reaction, please call our office. Symptoms of a reaction are fever, lethargy, hives, pain at vaccination site, vomiting, diarrhea, or swollen eyes/face.